At 21, here is a new singer songwriter from Sydney with something unique: classic songwriting, arrangement and production skills combined with a dazzling, layered approach to vocals. The instrumentation and production are of today - or tomorrow - the result of a restless imagination set loose in a tiny home studio. The result? A carnival of melody which is somehow soaring yet intimate. Music which lodges in the brain, exploring the outer reaches of emotion. 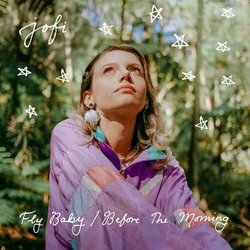 With a background in classical composition and love for indie and soul, Jofi's sound is fresh and original. 'Fly Baby' is about being vulnerable in love, loss and finding peace in letting go. It's about putting someone you love ahead of yourself and in the process, losing sight of who you are. 'You take on the world and I'll love you when you come home. No need for eyes on me when you can fly for us both'.